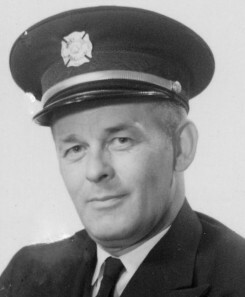 Harold is shown here in 1967 as a firefighter. Harold William Harkes was born to Winifred (Steele) and William Richard of Lot 9 Concession 9, East Nissouri Township, Oxford County, Ontario, Canada. After discharge, he married Dorothy ‘Betty’ Langford (1926-1999) and they lived in Ingersoll where he was a firefighter. He is interred in the Ingersoll Rural Cemetery.